Notes: Thanks to Rick Farris of the Strand for info on this. This appears to me to be the former site of the Beyette Theatre. When my family moved to Caro in 1968, I remember the Marquis. The theatre was closed. If the Greenfield family still owns the building in the photo they may have info. 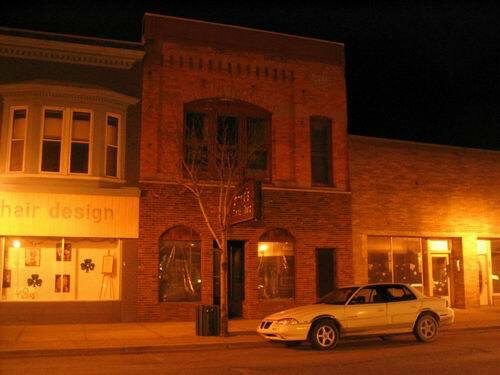 The illustrated building is on State Street (M81), not E. Frank Street.